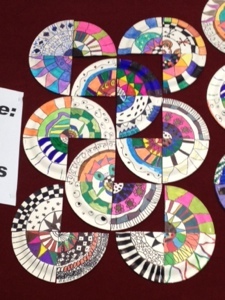 This week the team created their own version of a Zentangle display, which we have called Broken Dishes. 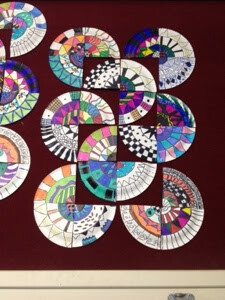 Our inspiration was a photo of a Cinco Mayo quilt from the WonkyWorld blog. 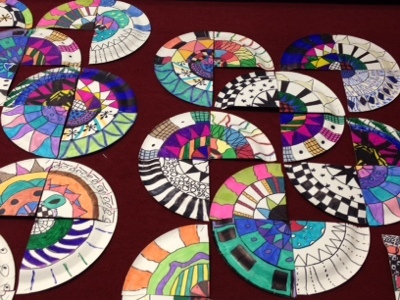 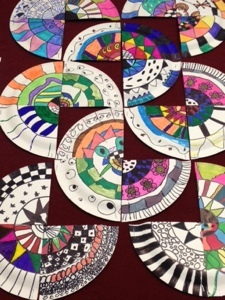 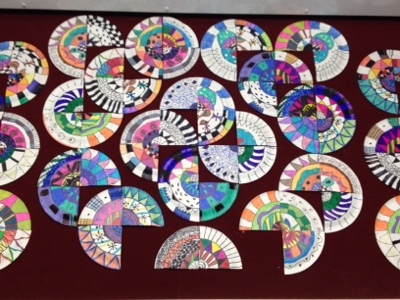 Each pupil had a paper plate with three rings pencilled onto it, and created a Zentangle design. 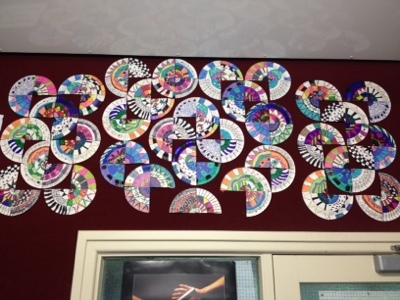 The plates were then cut into quarters and rearranged on the wall.